Your lawn should be your pride and joy – after all, it is the very centre of any garden. Your beautiful displays and flowerbeds only look great when your lawn has been looked after. There is not much worse for a garden than an overgrown and unkept grassy area. Yes, mowing the lawn can take a lot of strength and effort, but the hover mower can take all of that away. 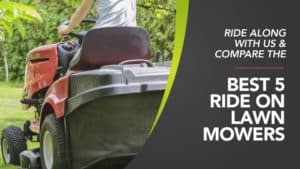 Instead of using wheels, they use a cushion of air that is created between the mower and the ground, making the operation and handling way smoother than using a conventional machine as you can move it in any direction you like. Plus, they come in both petrol and electric varieties so that you can pick the type that you prefer. Of course, it’s not an easy area to navigate, especially if you have never used this type of mower before (or heard of it). 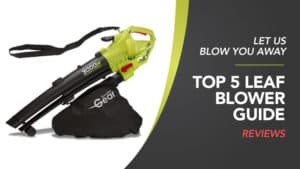 In order to help you find the best hover mower, we have put this guide together, compiling all of the relevant hover mower reviews in one place so that you can find the perfect one for you and your lawn. 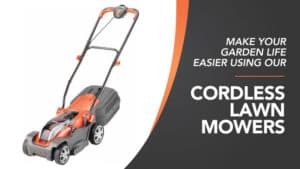 Sloped gardens are not always the easiest to mow, but this model from Cobra can help to make the whole process a much easier one. 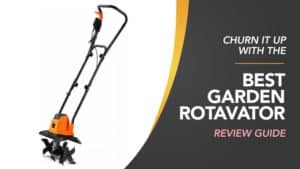 If you are in need of a hover mower that can tackle the slopes, you might want to check out the reviews below and see if this is going to be the model for you. 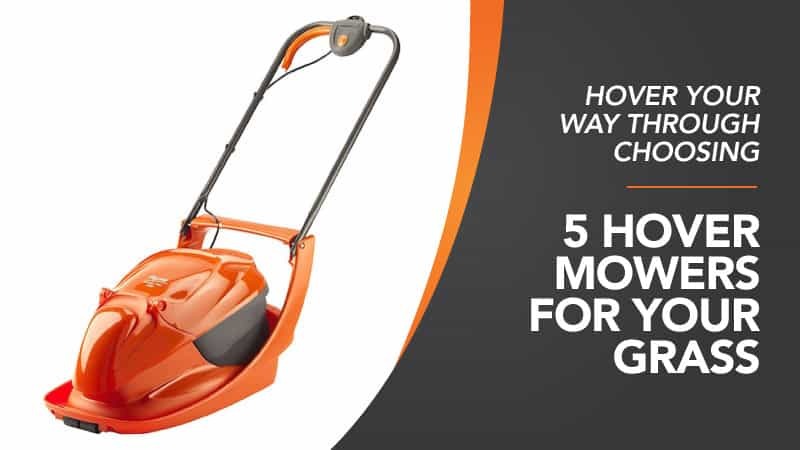 This hover mower is able to conquer slopes because of the wheel kit that comes with it, which allows you to manoeuvre the machine over and down to ensure that you reach every inch of your garden with ease. When you aren’t working the slopes, you also have the option to remove the wheels if you want to. 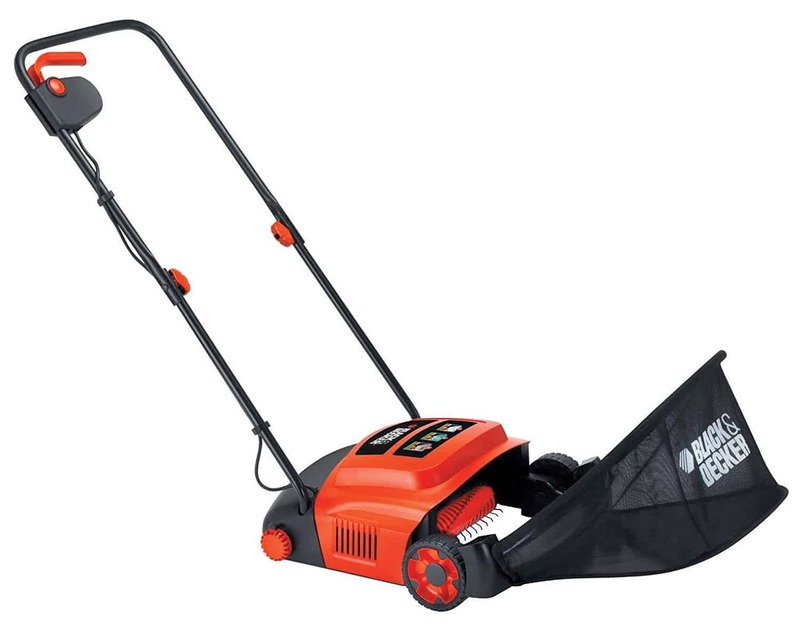 The mower is also very comfortable to hold and creates very little strain on the body. 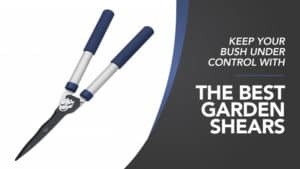 It has a 50cm cutting width, which is ideal for large and medium gardens alike, along with an excellent selection of cutting heights to give you the perfect finish. It also runs on petrol, so if you prefer the power that a petrol lawn mower provides, this hover mower has everything you need. It’s also easy to store away in the shed after use, so it stays out of the way. There have been no negative reviews for this petrol hover mower so far. This hover mower comes at a good price and is also able to cut the grass on slopes with absolute ease. It can cut at a 45-degree angle, which is superb for a mower like this, and it’s all thanks to the wheel kit that comes with it. 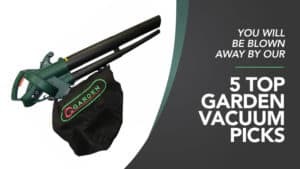 Easy to handle and relatively lightweight considering it’s a petrol mower, it offers everything you need to get your lawn looking absolutely spectacular in no time at all, and the 50cm cutting width will ensure a delightful finish. Flymo is one of the best manufacturers of garden equipment and tools, so this petrol hover mower should intrigue you. 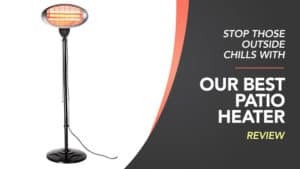 If you are in search of quality and reliability, you don’t need to look any further than this excellent model. 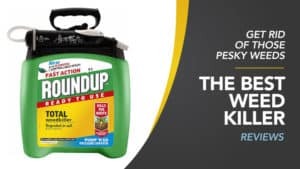 Just read the reviews below and see how this could be good for your lawn. This hover mower runs on petrol and features a powerful Honda engine that can cut through even the toughest and most overgrown lawns. It can even cut on a slope up to a 45-degree angle, giving you a better and more diverse mowing experience. 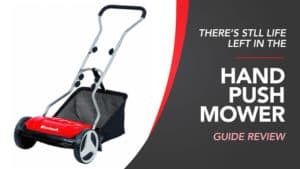 The handling is really easy thanks to the overall design, so you can move it across your grass with minimal effort and turn without any notice. 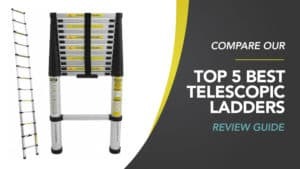 It can cope with lawns of any size, and it has been designed for use both domestically and professionally, which means it comes with a robust and sturdy build so that it can withstand more than most lawn mowers. 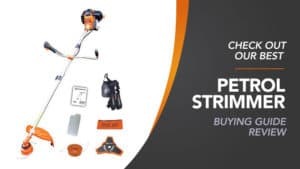 With a cutting width of 51cm and cutting heights that are easily adjusted and vary between 10mm and 40mm, it has all the features you would expect from a mower. It can be a little heavy to transport when not powered on, and some find the price to be a little high. 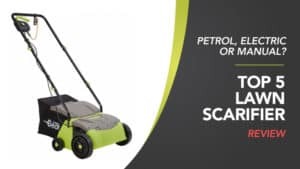 This model of petrol hover mower is great for cutting your lawn, and especially good for those who have sloped gardens that would otherwise be difficult to handle. 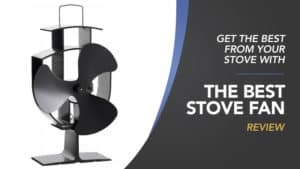 While the price is a little higher than most would expect, it is worth every penny, and it is also easy to handle (even though it’s heavy when not turned on). 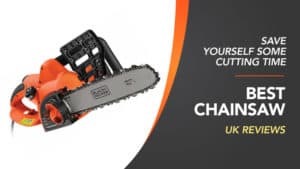 With a superb selection of cutting heights and a great width, it’s a mower that has been made to cope with professional and domestic mower jobs alike, and all from a trusted brand. 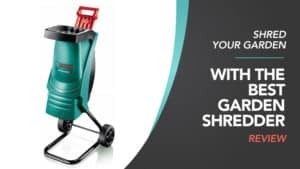 Bosch is the leading brand for power tools and outdoor equipment, so when you pick up one of these hover mowers you know you are in for a good piece of kit. 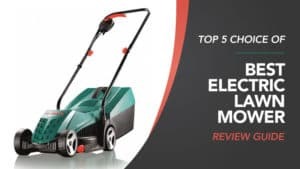 For the best electric hover mower, you don’t need to look any further, just take a moment to read the reviews below and see what you think. 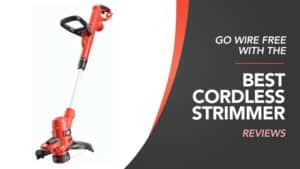 This electric hover mower has a powerful engine and is able to cut right up to the edge of your lawn so that you can get a perfectly even cut across the entirety of your garden, and taking out the extra work for you when it comes to additional trimming. 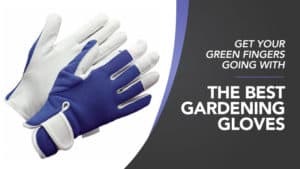 You can also adjust the comfortable handles easily for a better position and also to ensure that fatigue and strain are reduced when gardening. 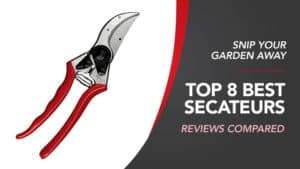 It has a brilliant cutting width of 40cm, which is ideal for gardens of all sizes, and adjustable cutting heights that vary between 20mm and 70mm, helping you to achieve the perfect cut with these versatile settings. 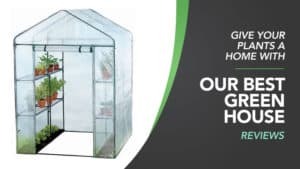 It has a 40L collection box for the grass, which means you won’t have to stop and empty it, and there is even a leaf collection system to make autumn gardening easier. Some customers feel that the power cord is a little short, especially for larger gardens. 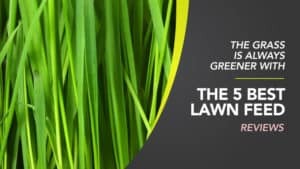 This electric lawn mower comes at a great and affordable price, but it also offers a lot of power – keeping your grass in amazing shape. 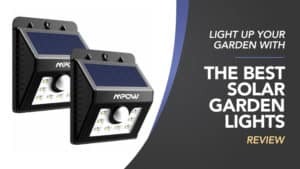 While the power cord is a little shorter than most electric models, it’s nothing an extension cable can’t fix, and it will allow you to zoom across your garden in no time at all. 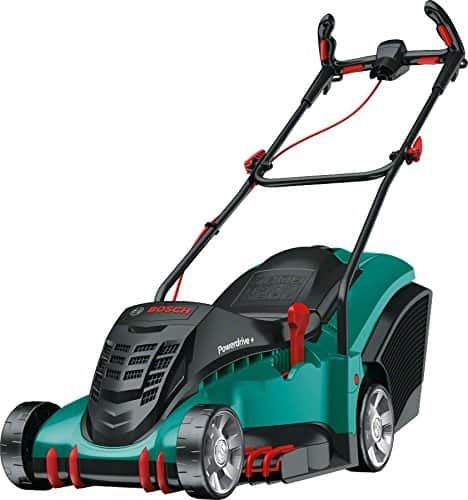 It has an excellent selection of features, including adjustable cutting heights and the ability to collect autumn leaves, making this lawn mower superb value for money. Here are some further models of hover mower, just in case the ones above do not quite meet your requirements. 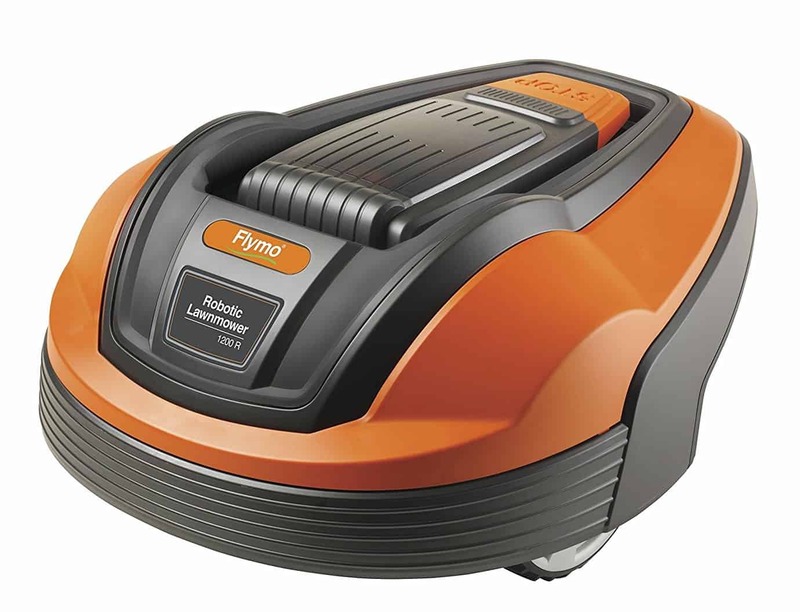 This brilliant hover mower from Flymo makes for a pretty exciting piece of tech, and one that will cut your lawn beautifully. It is, in fact, a robot lawn mower and it can operate without you so that you have more time to focus on other areas of your garden. 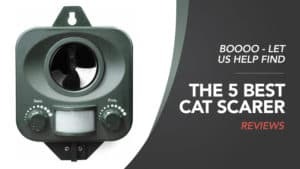 The collision sensors are incredibly sensitive, and, combined with the boundary wire, it is able to detect any obstacles that might be in the way so that they can be avoided. Plus, when it is low on charge, it will return to the station automatically. With several different cutting heights and an excellent width, you’ll end up with a beautiful lawn. 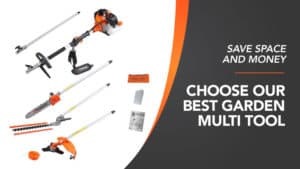 Black and Decker are one of the best brands for gardening equipment and tools, as can be proved by their superb products and overall reliability. 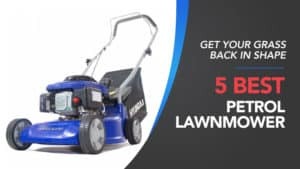 This model of hover mower is no different, and it boasts a powerful 600w motor that is sure to get through even the longest grass that your garden has to offer. 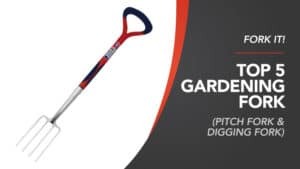 It features three different raking heights so that you can maintain it throughout the year, and also a great width that is perfectly suited to medium gardens. The grass box is front loading for easy access, and it also has a superb capacity on top of being really easy to unload. 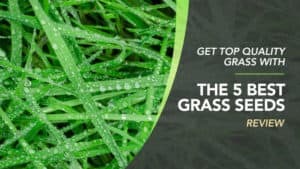 With the ability to sweep, rake, and scarify the lawn, it will leave everything looking absolutely perfect. It even comes at a really affordable price. Are you in need of a new lawn mower? Are you interested in hover mowers but are unsure if they are best for you? 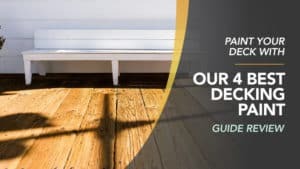 This guide will give you all you need to know to decide if a hover mower is right for you. How large is your garden? Is your garden on the smaller side? Do you need any extra features? If so, what are they? What is your budget? How much can you afford to invest in a hover mower? This guide will help you decide if a hover mower is best suited to your needs. 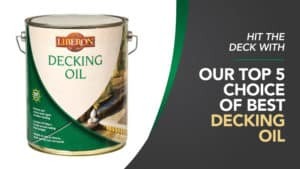 Good at tackling wet ground and pond edges. What types of hover mower are available? There are only two types of hover mower available; petrol and electric. Here is a look at the differences between the two variants. 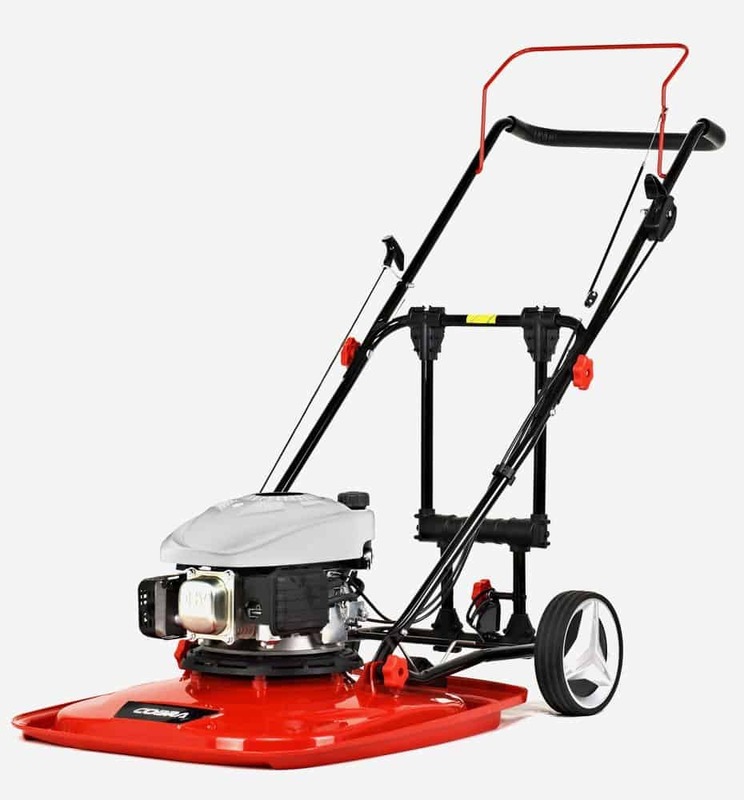 Electric hover mowers are popular as they are easy to store and deliver a decent cut. As they are corded, electric hover mowers are best suited to smaller gardens. 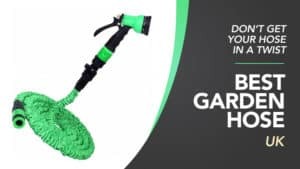 If you think that the cord is too small for your garden, buying an extension cord may be an easy solution. Larger petrol mowers are ideal for small golf courses and larger gardens. As a hover mower does not have wheels, it is excellent for going around pond and river edges. 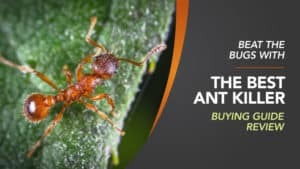 How much can I expect to pay for a hover mower? The price of hover mowers often depends on the model, the brand, and if there are any added features. 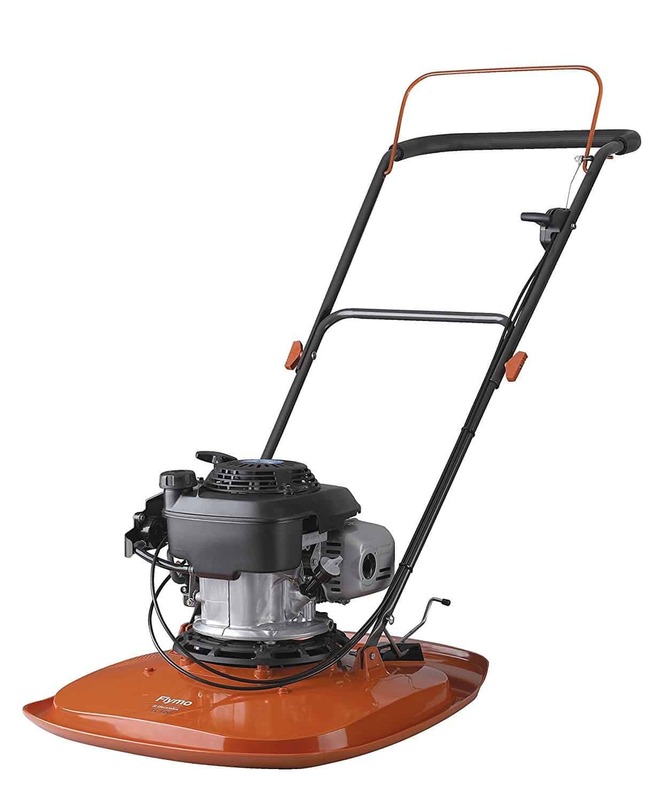 Hover mowers are often priced between £75 and £200. 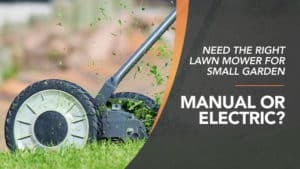 Electric hover mowers are on the smaller and cheaper side while petrol mowers are usually more expensive due to their weight, fuel costs and design. If you are unsure which hover mower is best for you, ask a professional for advice. 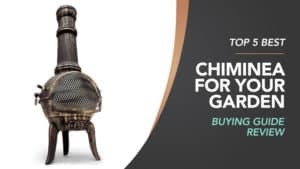 Looking in store can allow you to test and handle your desired model before buying while looking online allows you to compare prices and get the most for your money. 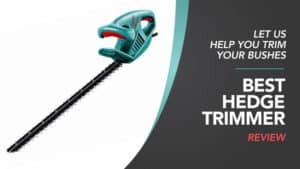 Hopefully, this guide has helped you to find the best hover mower for you, and the hover mower reviews have helped you to decide which one is going to be right for your garden and the way that it is shaped. 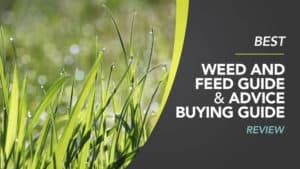 After all, not every hover mower is able to cope with things like slopes, and so it is important to check and make sure that it is going to work with your landscape before you commit to buy it. 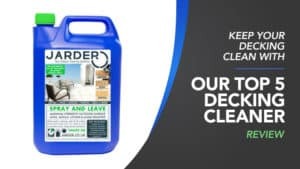 We have collected models from the best brands, like Bosch and Flymo, so that you can go with someone you know and trust to deliver results. 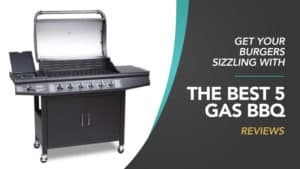 Plus, with a brilliant range of prices, you are sure to find a model that slots into your budget perfectly. What did you think of our hover mower guide? 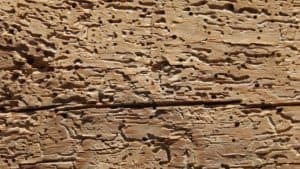 Are there any that you would have liked to see or recommended? We love hearing from you, so make sure to leave us a message in the comments below.